The Golden☆Star, Kota Ibushi, has been absent since Wrestle Kingdom 13, now returns to the New Japan ring! 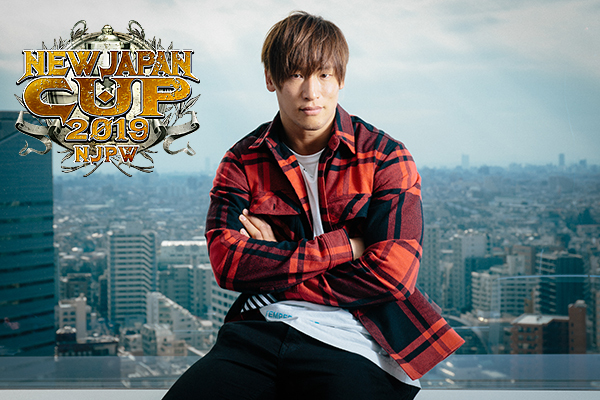 With his condition making a full recovery in time for New Japan Cup, what does Kota Ibushi have on his mind? Read the free interview below! Q: Mr, Ibushi, you’re returning to the New Japan Ring in the upcoming New Japan Cup, but cause of your injury was your brutal match with Will Ospreay in the opening match again. Looking back, how do you feel about that match? 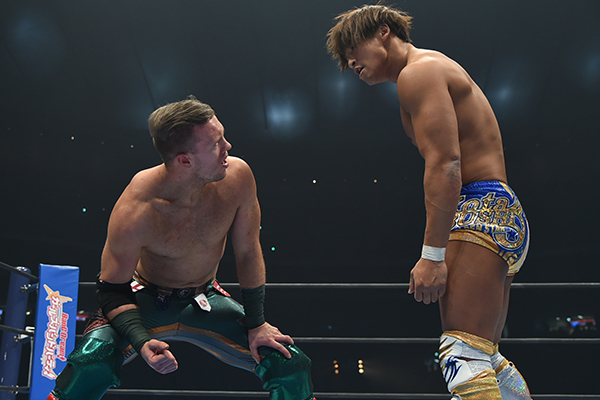 Ibushi: Well, the fact that I was able to go head to head in a thrilling match against Will Ospreay in the opening match at Wrestle Kingdom, I can only look back and think it was awesome. Q: The two of you lit the dome on fire that night. Ibushi: By the end I was knocked-out and had to be stretchered out, but I don’t regret it in the least. Seeing the positive side of it, I got the chance to relax and think about a lot of things. Q: You mentioned before that there was no further complications from the concussion and you were able to resume your training gradually, but what do you mean by thinking of various things? Q: What was the deciding factor in your decision to stick with New Japan? Ibushi: Hmm. I’ve been saying for a long time that I want to spread my love of pro-wrestling to everyone, but I would like to be based in Japan when I do it. Of course, I also want to become famous as well, so when I combined my thoughts I realized that New Japan Pro-Wrestling was my only choice. Q: Did the style of wrestling in New Japan play a part too? Ibushi: Absolutely, I want to spread New Japan’s fighting style all throughout Japan and I think that naturally this will tie us together with the world. Kenny says he wants to change the world with pro-wrestling, but I want to change the world with New Japan. Q: After a memorable reunion last year, the Golden ☆ Lovers (hereinafter referred to as GL) have once again broken-up. Do you still have feelings for Kenny? Ibushi: Kenny has his own path to follow and I support him with it completely. I’d like to see Kenny change the world with wrestling, but I don’t want to lose to him. I’m going to fight my battles with everything I’ve got. Looking back now, I think Kenny really overshadowed me in New Japan, right? Q: That being said, when the GL were reunited, Kenny said that “Ibushi and I are in a 50/50 relationship.” Do you not think that was the case? Ibushi: No. When I look at what he’s achieved, Kenny’s won the G1 and was IWGP Heavyweight Champion, two things I’ve never done. Because I felt that I was not on the same level as him, I was always conscious about linking arms and teaming-up with him. Q: Now you’ll have bouts in a different way than Kenny right? Ibushi: Yes that’s right. Of course in wrestling, no one ever knows what’s going to happen and maybe we’ll meet in the ring again. In the meantime I’ll just have to think of him as someone who is fighting a different fight. Q: When you came to the ring in Osaka last month, the crowd let out a huge roar when your theme started playing. What were you thinking about at that time? Q: You must have been feeling so tense! Once you declared that you were staying with New Japan the crowd were even louder! Ibushi: [Earnestly] Everyone was really happy huh? I just really wanted to jump into my costume and get in the ring! 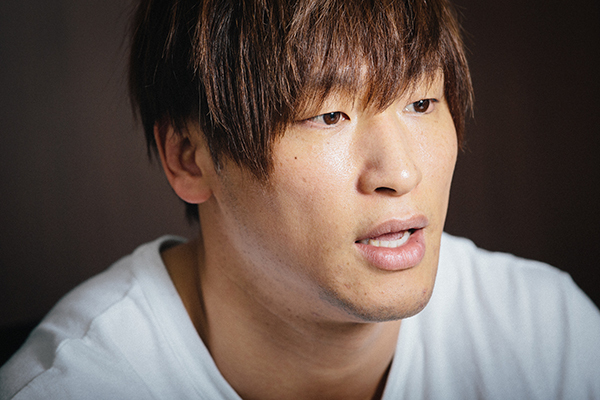 Ibushi: I did, I wanted to leave no doubt about my future and clear-up the nasty rumors. The fans were a bit unsure of my future. Q: Were there a lot of questions from fans about whether you were staying or leaving? Ibushi: Yes that’s right. I’m so sorry I made everyone worry. By saying it out loud it made my own feelings a lot clearer as well. However, some feelings are still not completely settled yet. Q: Is there something you can’t talk about? Do you think you could talk about it some day? Ibushi: Maybe that day will come. [smiles sadly] It’ll be easier to talk about it then. Q: By the way, Tetsuya Naito said that your declaration to stay in New Japan was “really f**king awkward” and Okada has also been saying similar things. It seems that to a lot of your colleagues who wrestle almost every series throughout the year, your statement was not well received seeing as how you rarely participate. Ibushi: Ah, I see. I’ve been hearing that as well from some fans, they said as much to Kenny as well. Q: Does a part of you understand that sense of repulsion that Naito and Okada have for you? Q: I see. In the past, Tanahashi has described you as “A wrestler who has both ability and flair. All he lacks is determination.” I wonder if there’s a sense of distance between the regular workers and the the freelancers. 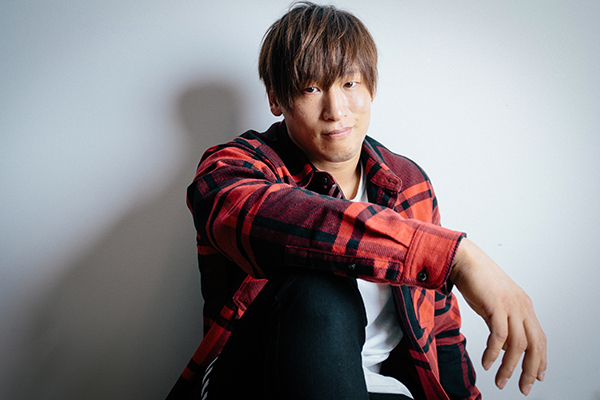 Ibushi: [contemplating] Hmm… In the end there was a part of me that didn’t want to be limited by various things and decided to go freelance, but when I look back on last year I barely wrestled outside of New Japan, so I don’t know what I was worried about. Q: Well, the difference ended up being in the number of matches you were included in with New Japan, did it not? Q: Looks like you’re starting to get a bit taciturn [laughs]. Is there anything you feel frustrated about missing out in the typical New Japan experience, such as going through the dojo and having that rite of passage into New Japan? Ibushi: Ah… well… It might sound a little rude, but not at all. [Flatly] I think at the moment that there’s nothing with that way of thinking. 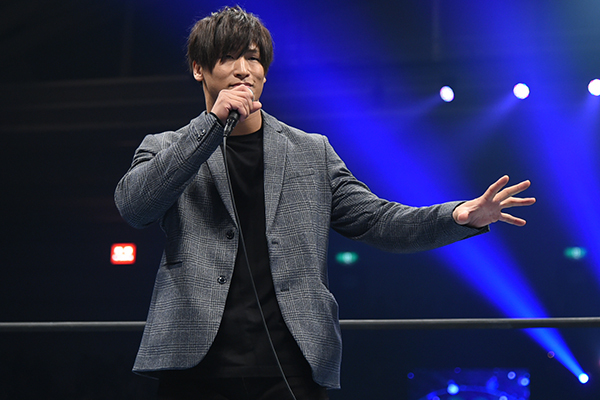 Ibushi: [laughs] Well, since I’m an individualistic wrestler, it seems like freelance Kota Ibushi was someone who was looking to escape his responsibilities by running away. But from my point of view, I was not trying to run away from my responsibilities but I had a real desire to spread wrestling around the world, to try new things and fail. If I’m tied down, I don’t think I could have felt truly free. Q: Sort of like the “Ibushi pro-wrestling laboratory”? Ibushi: Well, this time I said in front of everyone that I want to do my best in New Japan. In the future, I want to show everyone just how serious I am now.